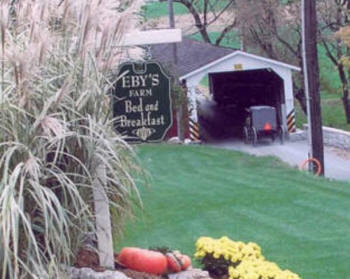 You have two choices of accommodations when visiting our bed and breakfast. There is an old brick farmhouse, which was built in the early 1800s, and there is a modern Cape Cod house. Both homes are located on the same farm. Mike and Lynette have been farming on the homestead since 1999. 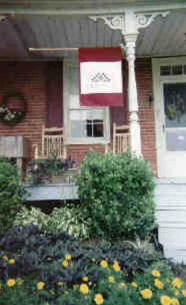 They enjoy having guests in the 1814 brick farmhouse, and welcome guests to participate in farm activities. We also have calves to feed by hand, kittens to pet, and a goat to feed. Mel and Joyce farmed for 33 years on the home farm. In 1999, Mel and Joyce built a Cape Cod house on the farm property by the covered bridge. They now invite guests from around the world to be part of their family. The view from the front porch and all rooms.